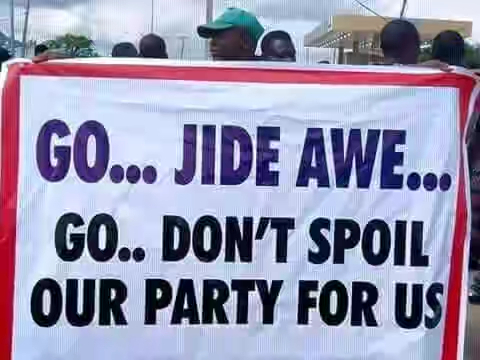 Supporters of the former governor of Ekiti State and the present Minister of Mines and Steel Development, Dr Kayode Fayemi are currently protesting at the All Progressive Party, APC, secretariat, Ajilosun, Ado-Ekiti, the state capital. 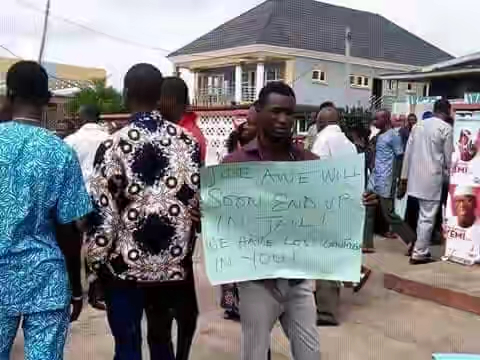 They are protesting against the leadership of the state chairman, Chief Jide Awe and also demanded for his removal. 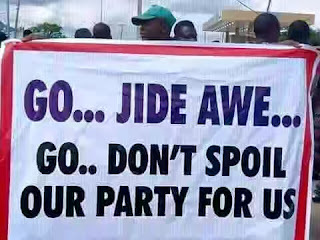 The protesters were armed with placards with inscription: "Go…Jide Awe, Don’t spoil our party for us” among others.